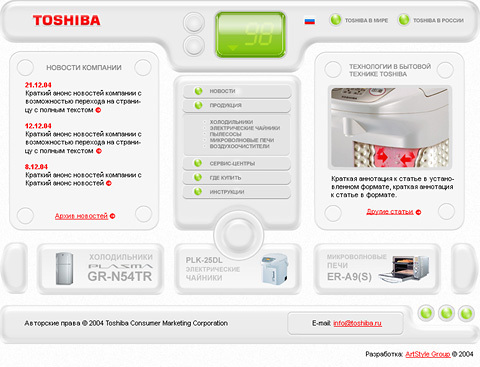 UI design of Toshiba home apps site, in hi-tech style. Created for "Artstyle" design studio. Copyrights - © "Artstyle", Toshiba.